Keith Olbermann, who in March scolded Fox News's Brit Hume for admitting that he often used information provided by the Media Research Center in his "Special Report" program, has once again channeled material taken directly from the far-left, George Soros funded, Clinton front-group Media Matters for America. Even better, the story was actually precipitated by an article read on the air Friday afternoon during -- wait for it!!! -- Rush Limbaugh's radio show. Since former Vermont Gov. Howard Dean stepped down as the chairman of the Democratic National Committee, he has ventured into other opportunities. One of those opportunities was to be a business pundit for the financial news channel CNBC, even though Dean's background prior to politics was in medicine. But just over a week later, in an e-mail dated April 2 to MoveOn.org mailing list subscribers, Dean wrote he was leaving Washington to hit the campaign trail "to help President Obama win health care for all." 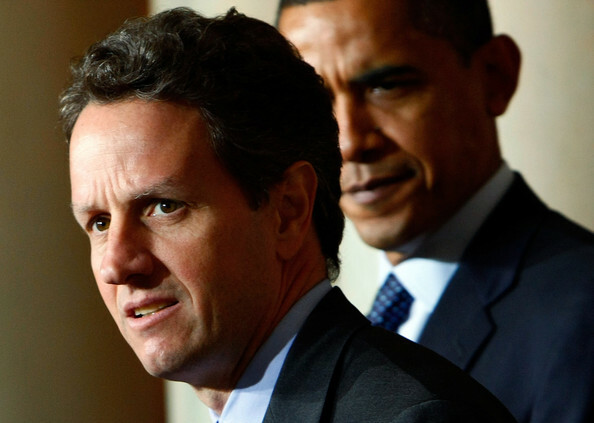 The Washington Post published an extensive investigative piece about Treasury Secretary Timothy Geithner on Friday which was a collaboration with the far-left media outlet ProPublica (h/t Carter Wood). As NewsBusters executive editor Matt Sheffield and I reported last September, ProPublica was founded by Herb and Marion Sandler, the California billionaires that have contributed millions to liberal causes and entities such as MoveOn.org and the Clinton front-group Center for American Progress. Readers might recall the Sandlers being lampooned by "Saturday Night Live" last October for having a hand in the financial crisis. NBC later caved to pressure from the couple and edited out any reference to them in the video of the skit posted at the network's website (Pat Dollard still has the full video here). "Well, some folks are naturally graceful, some not so much," Sanchez said. "By that measure alone, radio yacker Rush Limbaugh is the polar opposite of our Commander-in-Chief, Barack Obama. Now, you can just disagree with Barack Obama on his leadership, perhaps his policies. But it's hard not to at least acknowledge the ease with which America's 44th president handled himself in London on a global stage, even among royalty." A health policy expert who Keith Olbermann eviscerated during Thursday's "Countdown" (video embedded below the fold) has officially challenged the disgraceful MSNBC personality to a debate concerning provisions in the soon to be enacted stimulus plan. 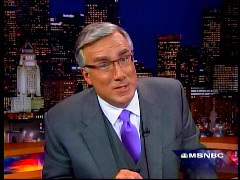 If Keith Olbermann of MSNBC could defend the health provisions slipped into the stimulus bill on their merits, he wouldn't be resorting to personal attacks on me. 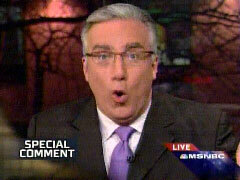 Olbermann calls me a shill funded by the drug industry (2-12-2009). That's not true...If Keith Olbermann has the courage, I invite him to debate me on his program...Mr. Olbermann, do you have the backbone (and the facts) to debate me? The Obama economic adviser who doesn't want infrastructure "stimulus" spending to only benefit "white male construction workers" is angry at Rush Limbaugh, Sean Hannity, and Michelle Malkin for having the nerve to report his racist remarks the mainstream media compliantly boycotted for several weeks. In an open letter posted at his blog Saturday, former Clinton Labor Secretary Robert Reich accused the trio of "manifestly distorting [his] words and pulling them out of context." The good folks at Media Matters for America are displeased with the New York Times having the nerve to point out the hypocrisy inherent in environmentalists destroying the environment. For those that don't actually care about such things, the Sundance Film Festival began last Thursday, and as the video embedded right demonstrates, the organizers are supposedly going to great lengths to make this year greener than ever. Unfortunately, such efforts seem to be failing according to an article published in the Times Arts section Saturday. Have you ever considered who's financing the various new media outlets spreading extreme-liberal viewpoints around the country? Most people think the biggest source is George Soros. However, there are others that are not necessarily household names, but are having a huge influence on the state of journalism today and in the future. More importantly, they're on a mission to redefine the political landscape in ways you might not have imagined. From a non-Jew, it would smack of anti-Semitism. From Eric Alterman? You be the judge. I realize I may be the only person in the world to care about this, and I only care a tiny bit, but what does Commentary's Jennifer Rubin have on The Note's Rick Klein? I realize that Mr. Klein is, in many respects, a fully-worked ref, citing right-wing publications that have proven consistently wrong about everything throughout the past eight years -- following the requisite ABC advertising which justifies the expense of the effort to his corporate overlords -- while ignoring those on the center-left who have proven right. But even so, Commentary? Come now. The guy cites her every day. Are they dating? Did his mother lose a bet to her mother playing canasta in Boca?